The Area Agency on Aging for Southwest Florida provides programs and services that help older adults and adults with disabilities to live as independently as possible. 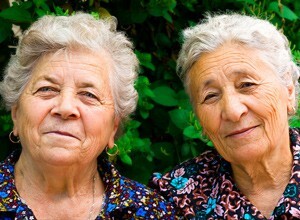 Provides supportive services to help elders live independently in their own homes and communities. Provides congregate meals and nutrition education in strategically located centers. Provides home-delivered meals and nutrition education to home-bound individuals. Provides disease prevention and health promotion services. These services are designed to help adults age 60 and older through education and activities that support and promote healthy lifestyles and behaviors. Provides services through the National Family Caregiver Support Program. These services help families caring for frail elders. Assistance is also available to grandparents or older relatives who are caregivers for children 18 and younger or for children with disabilities. Provides the Elder Abuse Prevention program. This program is designed to increase awareness of the problem of elder abuse, neglect, and exploitation. Community Care for the Elderly (CCE) program provides community-based services help frail elders live in the least restrictive yet most cost-effective environment suitable to their needs. Alzheimer’s Disease Initiative (ADI) provides services to meet the changing needs of individuals with, and families affected by, Alzheimer’s disease and similar memory disorders. Home Care for the Elderly (HCE) program supports care for Floridians age 60 and older living in private homes as an alternative to institutional or nursing home care.